Over 500 nature lovers from around the Midwest gathered at the T.C. Steele State Historic Site for this year’s census of wildflowers. This three-day event, held April 27, 28 and 29, is Indiana’s longest running count of spring blooming wildflowers. Wildflower author and taxonomy expert Kay Yatskievych, recently retired from Missouri Botanical Gardens, helped organize the first wildflower count in Brown County 36 years ago. 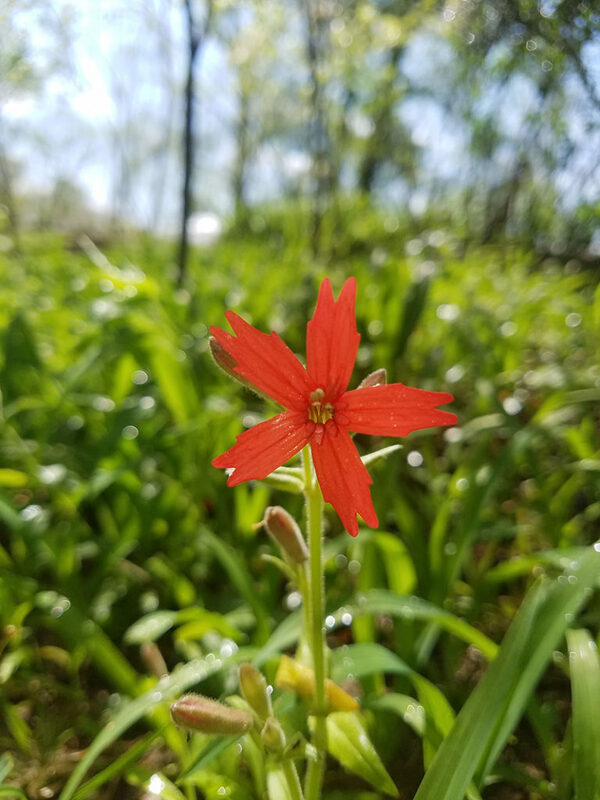 Three years later, the event expanded beyond wildflowers to include birdwatching, nature photography, and other nature-oriented activities, becoming the “Annual Spring Wildflower Foray.” Andrea deTarnowsky, Manager of the T.C. Steele State Site, has served as chairperson for over 25 years. The Friends of T.C. Steele SHS, Inc. became the fiduciary agent of the event in the early 1990’s and have assisted in many ways, including funding, as one of the sponsors. Now in its 33rd year, the Foray again offered 24 various adventures into the woods and onto the waters of Brown and Monroe counties. A brand new event was a kayak and canoe trip along the banks of Lake Monroe, just south of the T.C. Steele State Historic Site. 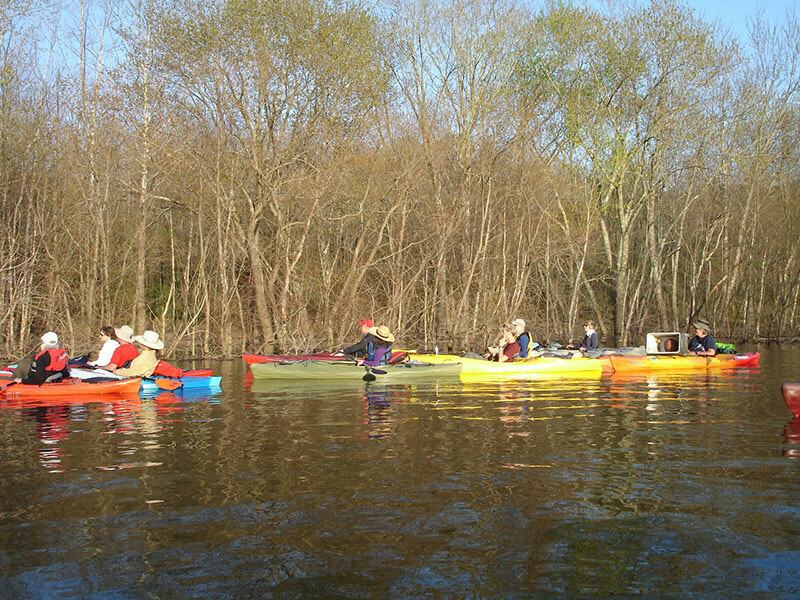 David Rupp of IndiGo Birding Nature Tours lead the slow paddle adventure. Participants used their eyes and ears to identify the many birds which thrive in the quiet headwaters of the lake, including the Prothonotary Warbler. 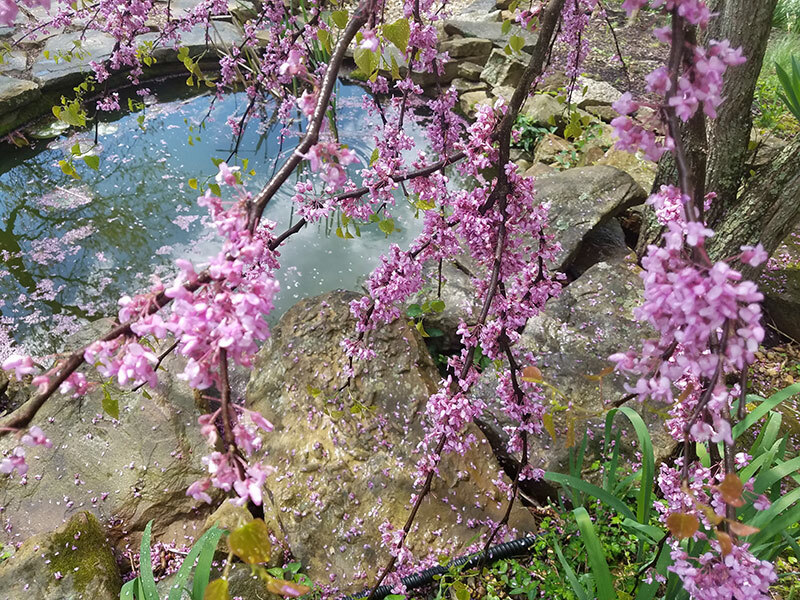 A new event offered this year, after it was rained out last year, was the hike into the Laura Hare Nature Preserve at Downy Hill. Jim Ferguson, Sycamore Land Trust Volunteer Steward for the preserve, lead the rugged, 3-hour journey into the protected forest with lots of wildflowers and birds from ridgeline to valley and back. One of the high points of the Foray each year is the Saturday evening dinner followed by the wildflower count and a presentation by a guest speaker. This year’s speaker was Indiana naturalist, author, and photographer Steven Higgs. His latest book, A Guide to Natural Areas of Southern Indiana, is available now.